My Hero Academia may focus its time on the students of UA Academy, but they aren’t the only heroes worth noting. Pros like All Might have been stars from the start that seems a new flashback has shine a touching light on Aizawa as of late. Shueisha released the latest chapter of My Hero Academia, and it was there we met up with Eraserhead. The pro hero may prefer a low profile, but his gig as a homeroom teacher for Class 1-A keeps him busy. 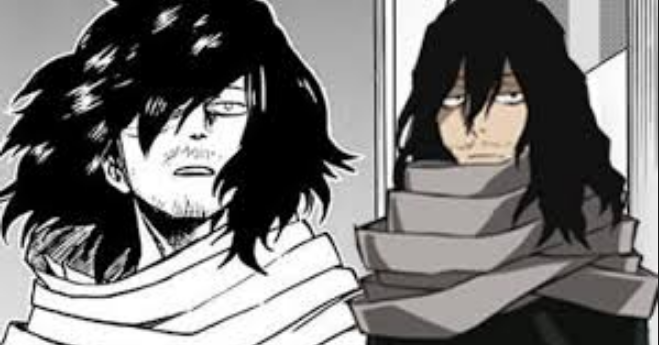 These days, he is overseeing a match between Izuku and Shinso, and the manga teased how Aizawa began mentoring the latter. After the purple-haired boy lost his Sports Tournament match, it seems Aizawa began helping Shinso train. Despite being a general track student, Shinso has the potential to be a great hero, but he lacks the combat skills to succeed which where Aizawa stepped in to train Shinso, and a flashback shows one instance of their training. Aizawa has become Dad-zawa to Shinso, and fans are loving it. In the same way he believed in Izuku once the student found a way to use his quirk, Aizawa sees the same potential in Shinso. Now, it is just a matter of time before UA Academy adds a new student to its hero track, and fans are hoping Shinso gets added to Class 1-A in the end.